The Telephone Hall of Fame was founded in 1965 by a group of Pioneers who envisioned a special way of recognizing individuals in the industry who contribute not only to their company, but to the industry at large; a forum where excellence is rewarded by colleagues, employers and the leaders in telecommunications. By establishing the Hall of Fame, they accomplished their goals. This entity now exists, and is more vibrant than ever. By meeting the criteria set forth by the Committee, individuals are considered by the Hall of Fame Honors Court. The accomplishments of those inducted into the Telephone Hall of Fame truly represent an unmatched insight into the development and growth of telephony. This industry has made a significant contribution to the nation's private and public sectors and the lifestyle of its people, especially in the rural areas. These successes also serve as a standard to which present and future generations can aspire. Nominations to the Hall of Fame are made from among those persons who have made positive and substantial contributions to the development, growth, and public perception of the telephone industry, on a national scale, over a period of many years. To be eligible, an individual must have reached age 70, be retired from the industry for at least three years, or be deceased. Though he wasn’t—and never claimed to be—a traditional “telephone man”, James E. McCartney of Lansing, MI devoted the last 54 years of his career and life actively serving the Independent Telephone Industry. He has been elected to the Telephone Hall of Fame of the Independent Telecommunications Pioneer Association. McCartney will be posthumously inducted as the 102nd member of the Hall of Fame in April 2019 at the annual meeting of the ITPA in Ashville, NC. 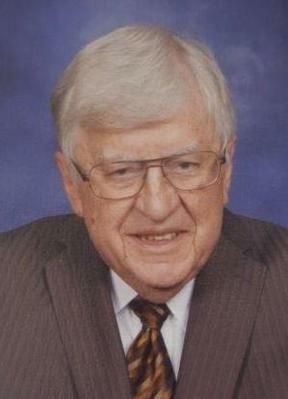 The 96-year old association numbering some 7000 dues-paying members with headquarters in Hinesville, GA began in 1965 to recognize individuals who had made “outstanding contributions to the Independent (non-Bell) telecommunications industry” ITPA most recently honored Dean C. Swanson of Cornelia, GA in 2018. Affectionately known to his Michigan CPA clients as “Mr. Jim”, McCartney joined the Larry Reynolds Chapter of ITPA in his first year of eligibility, 1976, and four years later was elected to represent the chapter to the National board. He served ITPA as one of its volunteer financial professionals and concurrently on committees until his passing in November 29, 2015 at age 88. McCartney’s introduction to the telephone industry came in 1961 when, as an accountant employee of Collins, Buri and McConkey, he bought its branch office in Lansing, MI specializing in telephone company bookkeeping. He spent his first full year traveling the back roads of Michigan learning the needs of his scattered 16 Independent telco clients. Not satisfied simply to conduct audits, Jim innovated case tracing to reconcile bank accounts and tracking total receipts to income. He devised customized forms which his firm, Richardson and McCartney, sold to all telcos. Broadening his services, McCartney filed quarterly depreciation calculations with the Public Service Commission, helped prepare rate case applications to the MPSC and loan applications with the Telephone Division of the Rural Electrification Administration. With his warm personal touch Jim fought for and supported, especially, the smaller telephone companies to move smoothly through the myriad changes in regulation, mergers, and technologies in telecommunications. And as “Mr. Jim’s” reputation for both expertise and integrity grew, he was called to testify in over 150 rate cases in his home state as well as Ohio, Wisconsin, Indiana and West Virginia. He testified on behalf of and for both the Telephone Association of Michigan and Ohio Telephone Association. In 1980 the firm name changed to McCartney and McIntyre P.C. and finally in 1987 to McCartney & Company, P.C. McCartney’s passion for Pioneering saw him as president of the Reynolds Chapter (1980), ITPA national treasurer for 10 years when he created its Charitable Foundation, ITPA director and then president 2014-15. He remained as treasurer of the Historical and Charitable Foundations in culminating 44 years with ITPA. The graduate of Ohio State University (1952) with degrees in industrial engineering and business administration was active in many professional organizations as a member of the American Institute of Certified Public Accountants, senior member of American Institute of Industrial Engineers and member of the steering committee of the Telephone Association of Michigan among others. He held an agent card of the U.S. Treasury Department. Below is a list of the members of the Telephone Hall of Fame, followed by the year of their induction.